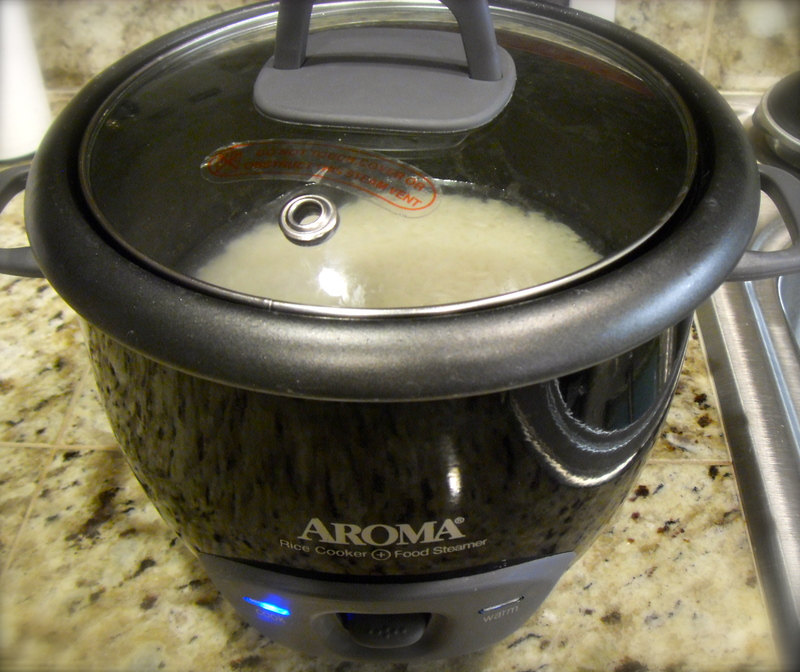 Crock Pot Ribs with Mac n Cheese! 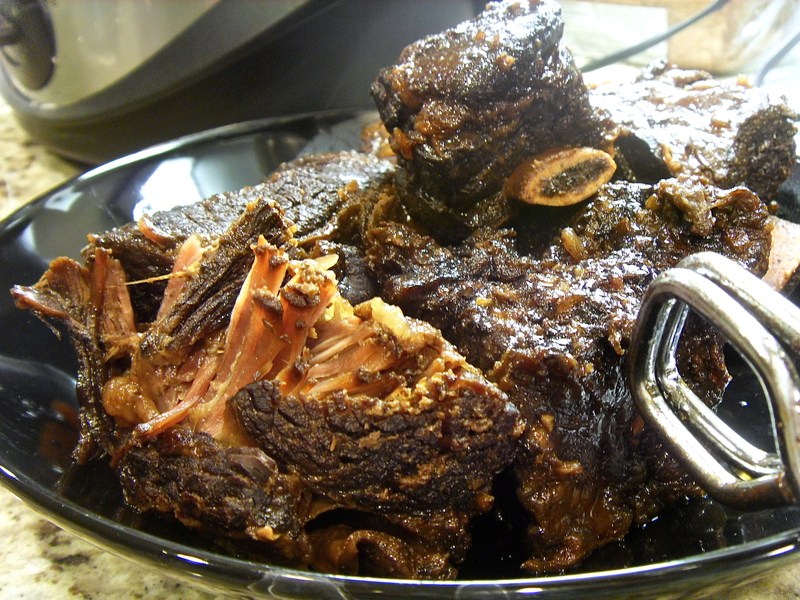 Im really not a fan of sticky, messy, gooey ribs.. sue me! I dont care about the mess getting on my face, but I can’t stand when stuff gets under my nails. Weird? Cool. My friend Jessica made some crock pot ribs the other day that looked too dank to pass up, so I decided to make my own version tonight. First and foremost, like all meat, I washed it off. 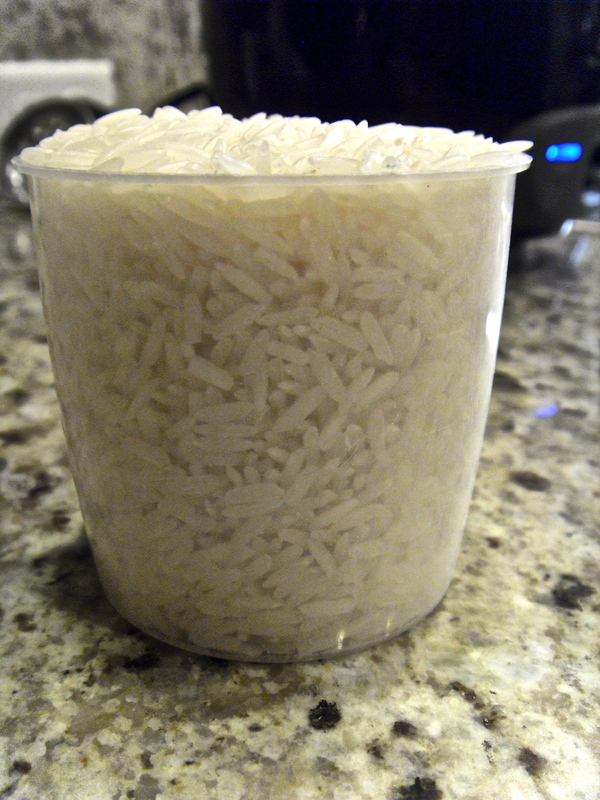 No, silly, don’t use soap.. Just rinse the meat in cool water to get all of the blood and “residuals” off. Then pat dry with paper towels. 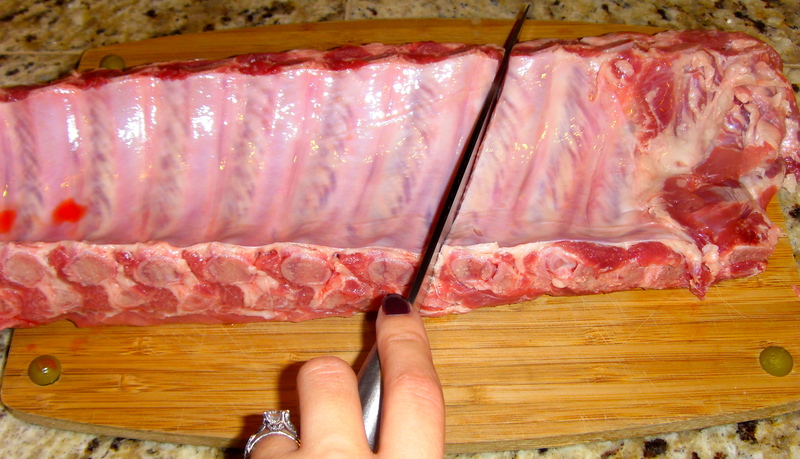 Place the rack meat side down on a cutting board (I used two together since the rack was longer than one single board) and cut into serving size pieces, about 3 ribs. 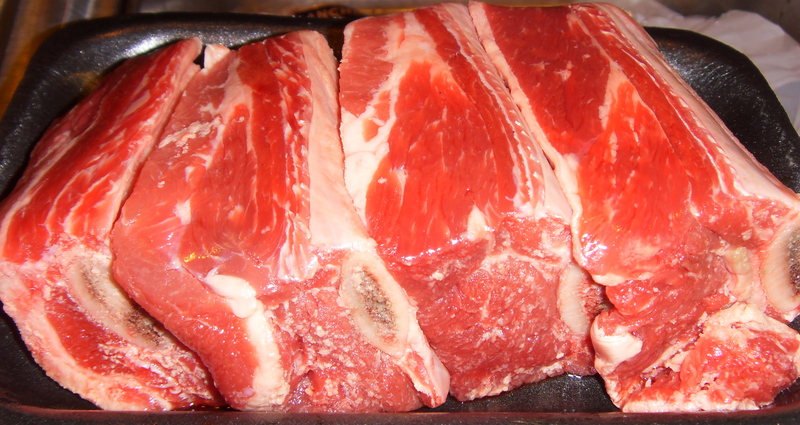 After the ribs have been sectioned, turn your broiler on low and dry season them with whatever you like. 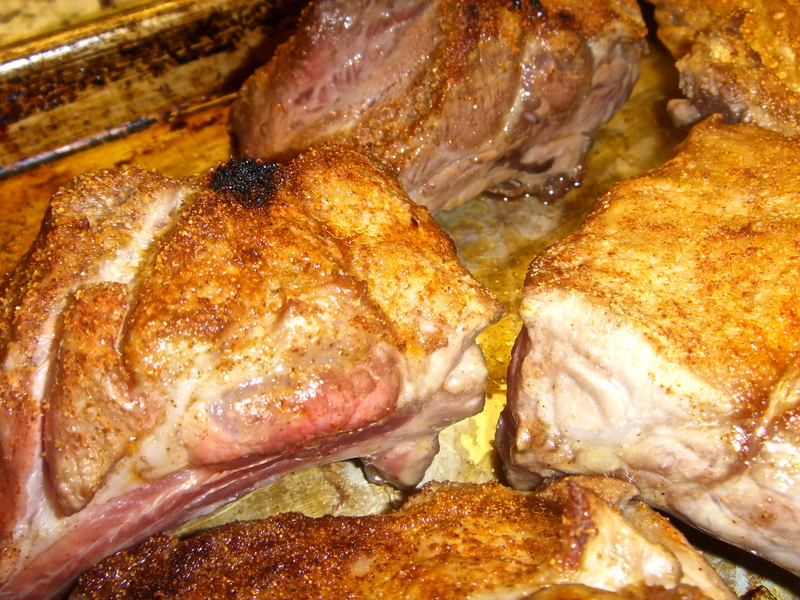 I rubbed garlic salt, paprika, onion powder, and fresh cracked pepper into the meat like it was lotion and then arranged them on a baking sheet to brown under the broiler. I kept mine in for about 5min before turning the whole pan clockwise to get all of the ribs evenly, and kept them in another 5min. While they were browning, I cut the half onion (leftover from last night) into three pieces, and took the ends off of the garlic cloves. Keeping these ingredients as large as you can is helpful when cooking in a crockpot. 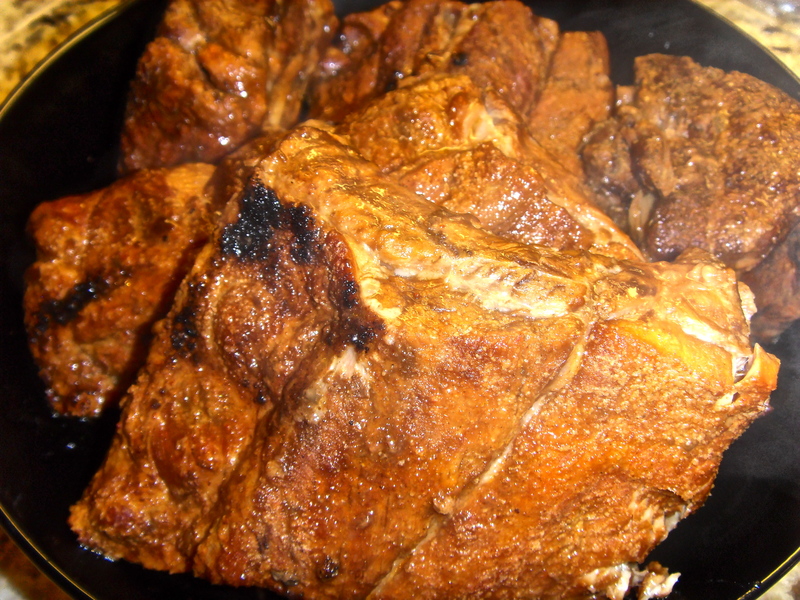 When the ribs are browned to your liking, they’re ready for your pot! After you get everything into the pot, add your whole bottle of BBQ sauce. I actually used 2 different kinds of sauce and added half of each bottle (hickory and a sweet one). 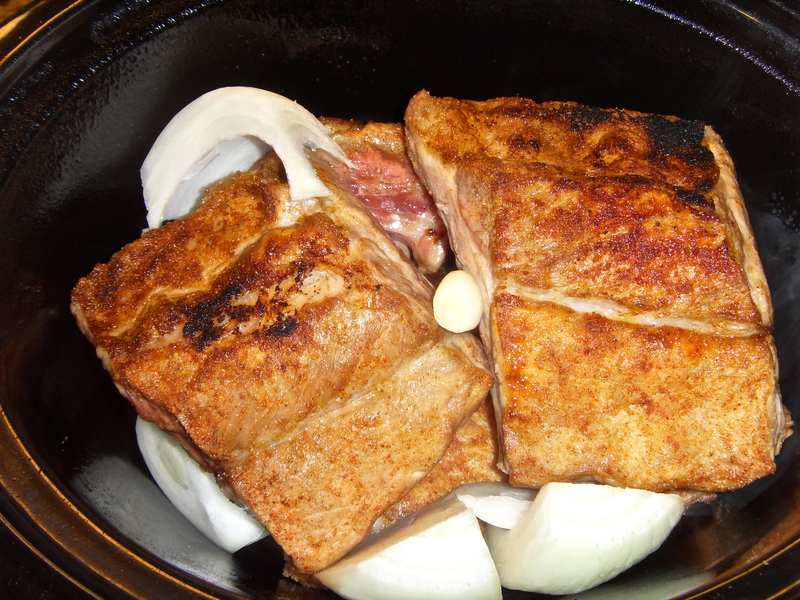 Then add enough water to just barely cover the ribs, cover and cook on low for 6-7hrs or high for 3-4hrs. 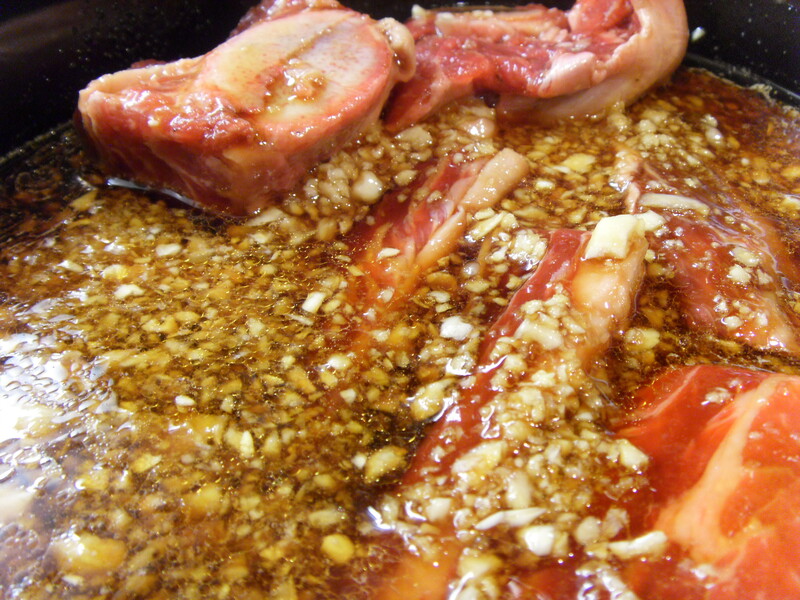 If you want them to fall off the bone, cook them longer. I didn’t want them that way so I only cooked them this long 🙂 They were PURRRRFECT! 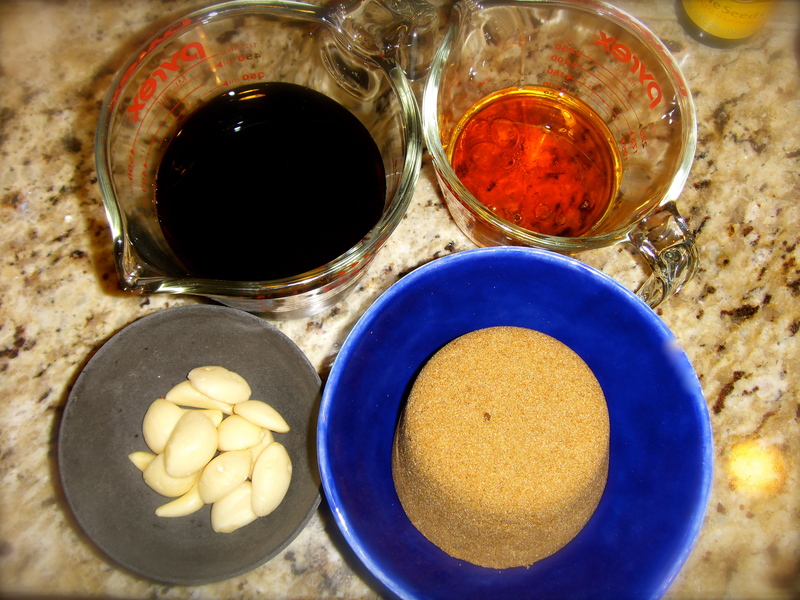 This recipe is a little strange, but DON’T get scared.. I got a little worried, but it all worked out in the end. Cook your pasta about 2min UNDER what the package suggests, this will keep your pasts firm when you bake it, and set aside. 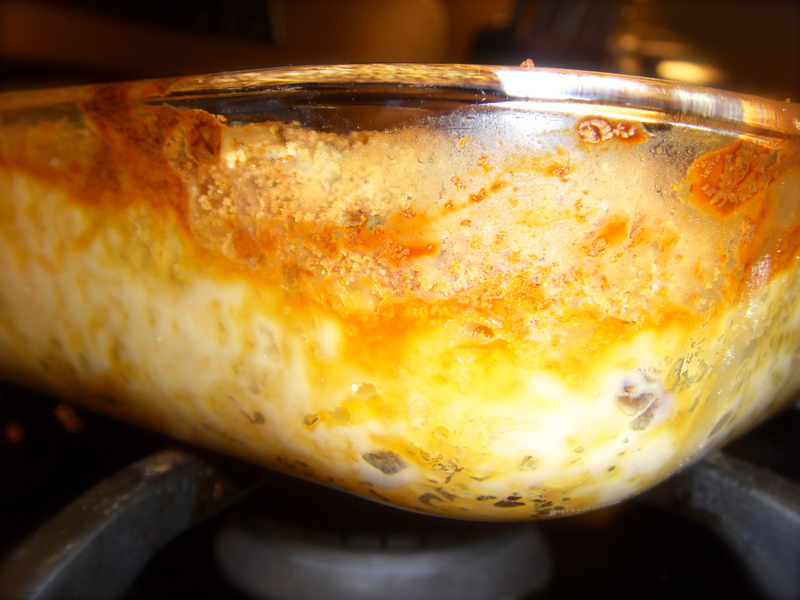 Melt 3 of the 4 tablespoons of butter in a saucepan on medium heat, gradually add flour and mix with a wooden spoon. I’d suggest not using a whisk, like I did at first, because the butter and flour gets clumpy. Slowly add milk and mix *continuously*, making a sort of roux.. Keep the heat so that it is lightly simmering. The flour/butter will start to break down and mix into the milk getting thicker and ticker. Add the velveeta and mushroom soup, stirring continuously until all of the cheese has melted and everything is combined. 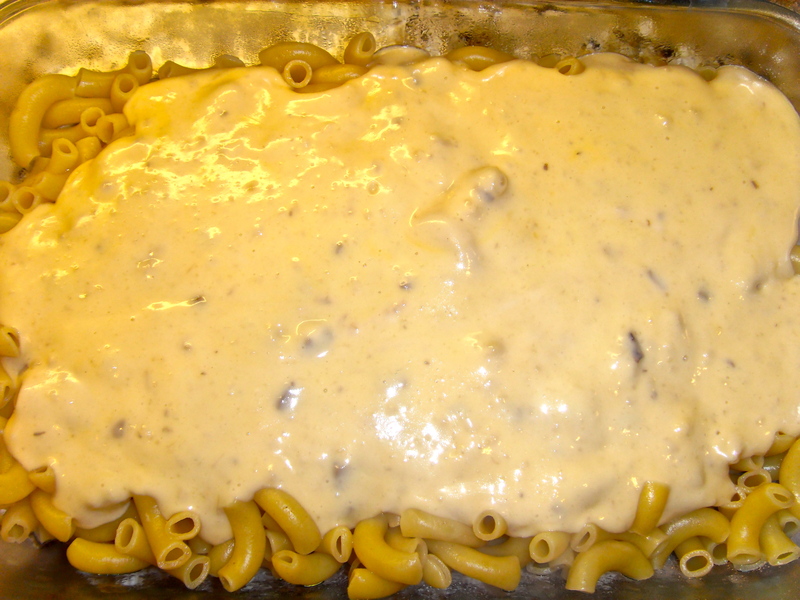 Spray your baking dish with PAM and pour noodles in, topping with cheese sauce. Add shredded cheese and mix until all of the noodles are coated. 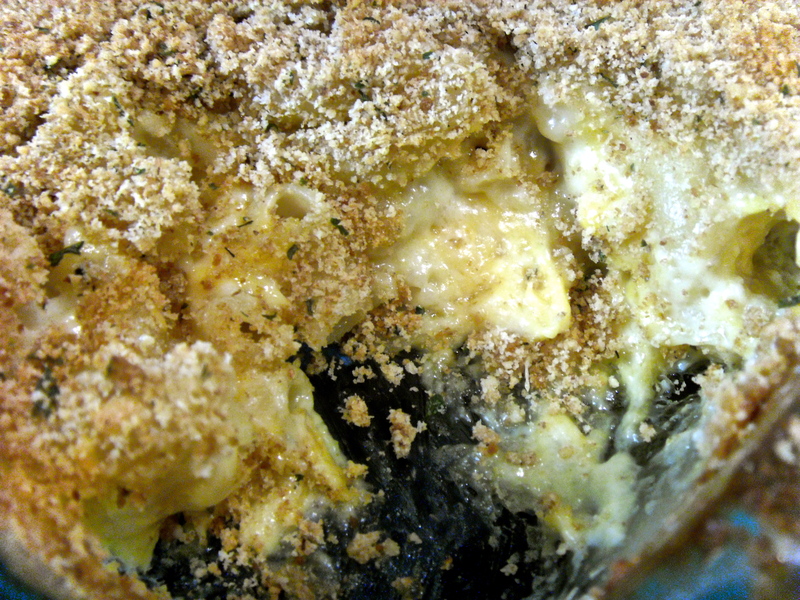 I am a fan of breadcrumb topping on my mac n cheese, but you really dont have to add it if you aren’t into that kinda thing..
Take remaining butter and melt in a small dish, then add it to the breadcrumbs and mix well. Spread the mixture over the cheesy noodles, spreading around evenly with your hand, and bake for 20-30min or until lightly browned and bubbly! I made some green beans on the side, but I was too hungry to bother taking pics of those, and c’mon now … who doesnt know how to make simple, steamed, green beans?